The bus is one of the most convenient, economically speaking, ways to transfer from one place to another. From Rome to Sorrento there are a few bus rides a day and if you are not in a hurry and have a lot of luggage, it can be the best solution. As a student, I took the bus from Rome to Sorrento dozens of times. Mostly, it was a pleasant and enjoyable experience but some days of the week, holidays and specific times, I absolutely do not recommend it. From Rome two different lines of buses lead to Sorrento center: Marozzi and Flixbus, and both buses leave from Triburtina Station in Rome. Ticket can be purchased online https://www.marozzivt.it , at the Rome Triburtina station and in travel agent offices. You can choose your own assigned seat on the bus when you purchase tickets (I recommend next to the window to enjoy the view) – seats number are above the seats. The bus leaves from Roma Tiburtina Station at two different hours: 7 am and 3pm , except on Sundays that has only one departure at 7am. The ride takes approximately 4 hours but the trip length depends on the traffic on the highway. The bus stops in five little towns (Castellammare, Vico Equense, Meta, Piano di Sorrento, Sant’agnello) before approaching Sorrento. There is no bathroom on board. The bus makes a 15 minutes stop along the way at an Autogrill to use the rest rooms and buy food and drinks. The Marozzi bus shows up only a few minutes before the departure time at the Rome Triburtina station. If you are traveling with luggage, you will have to store them in the luggage compartment on the lower deck of the bus. With a small hand carry, there is overhead storage space on board the bus. There is air-conditioning on the bus. On Fridays, Saturdays and Sunday afternoons expect longer journeys, there may be delays. Flixbus is a recent international bus agency that allows you to go all around Europe. 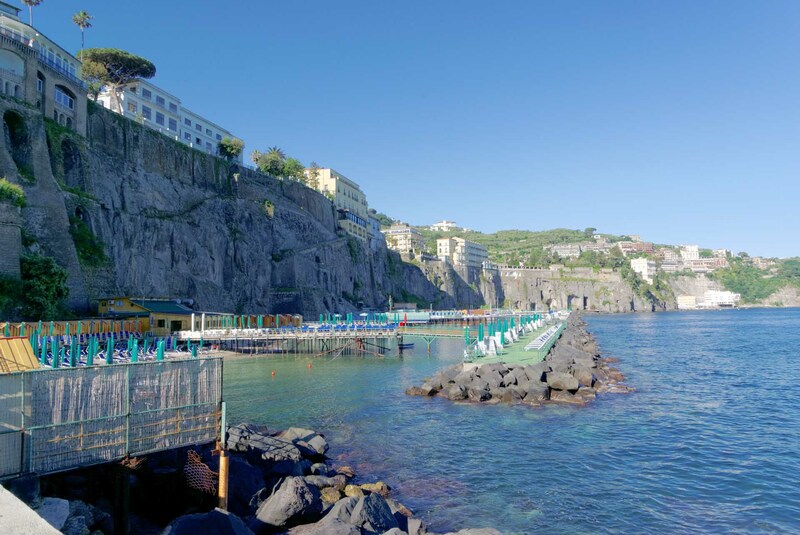 The route from Rome to Sorrento has been introduced only a few yew months ago but it has already been used by many guests and tourists from all over the world. The ride takes approximately 4 hours and 15 minutes. Time of arrival is at 12,15, but the trip length depends on the traffic on the highway. There is a bathroom on board. It is recommended to arrive at least 15 minutes before the departure time at the Rome Tributina station. Each passenger is allowed to take 1 item of luggage (max. dimensions per item 31 x 20 x 12 in, 50 lbs. in total) plus 1 carry-on bag (16 x 12 x 7 in, 25 lbs. ).